The Hollywood Reporter’s annual report on the pros making the biggest sales, including L.A.’s first-ever 10-figure listing. You hear it in their voices, in the measured words that THR‘s top real estate agents use to describe the shift in L.A.’s gravity-defying market. It’s not that the party is over, but the lights are being turned on — slowly. The median sales price of an L.A. home was down 5 percent compared to the same period last year, according to an Elliman report. In Bel Air and Holmby Hills, it dipped 10 percent. The luxury market (the top 10 percent) hasn’t seen a turndown — it was up 5 percent in that same period — but growth has slowed thanks to factors from rising interest rates to President Donald Trump’s tax bill, which limits real estate deductions. “We’ve had a great run-up in values over the past several years but we’re at the top,” says Douglas Elliman’s Ernie Carswell. 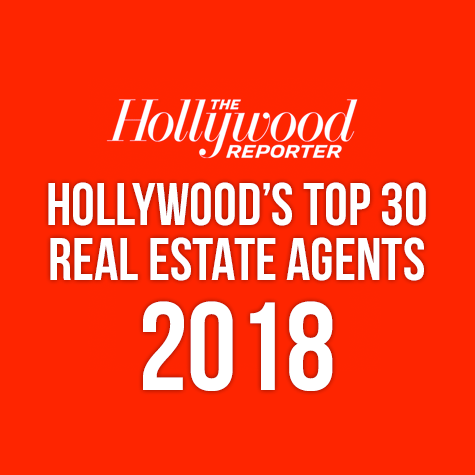 “It’s time for the buyers to get some of the goodies now.” And these 30 market stars — chosen for their sales volume, headline-making deals and clout with entertainment clients — will be the ones helping Hollywood home-seekers capitalize. Click here to view the full list. Sally Forster Jones, who left Pacific Union for Compass in February, has taken her marketing game to new heights. In June, she hosted an event for a $25 million listing on Thrasher Avenue that featured an opera singer belting Puccini and a sunset ceremony where guests released butterflies from jars. She sold Billie Burke’s Brentwood home for $3.5 million in May, and is listing producer Craig Huxley’s home in Sherman Oaks.